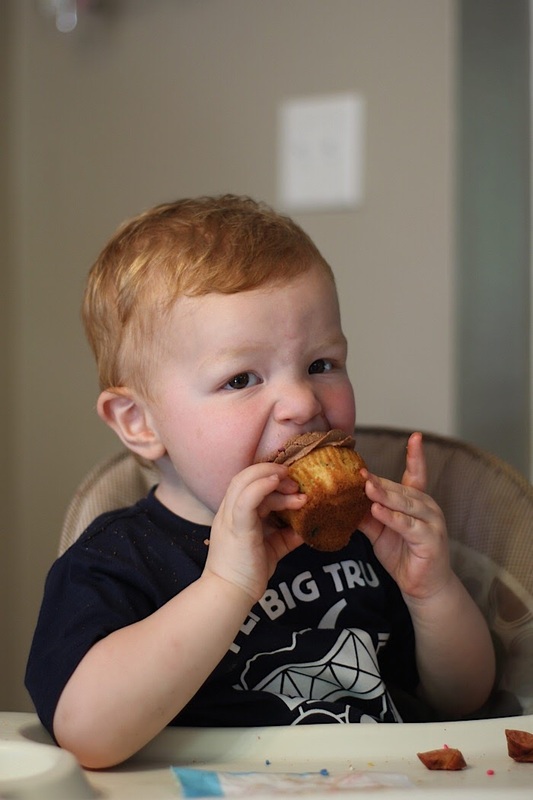 I blame it all on Russ and our drive back from Omaha for spring break and trying to get every big truck to honk at us on the interstate, but Calvin is obsessed with trucks. He gets so excited every time we see them and we have read so many books about trucks over and over and over. 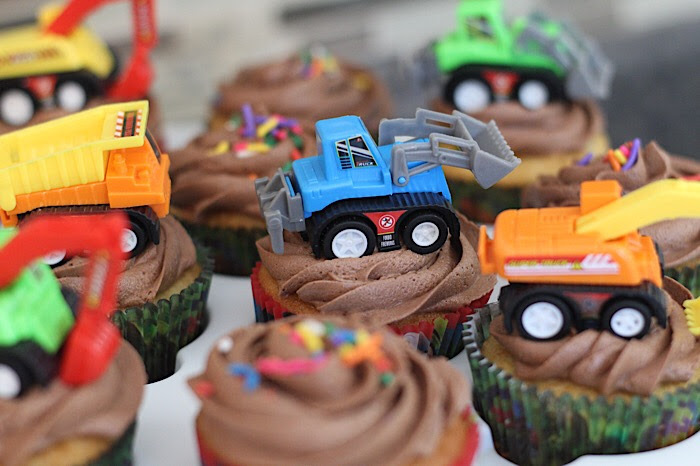 So, when it was time to think about the theme for his second birthday a few weeks ago, trucks was a no-brainer! 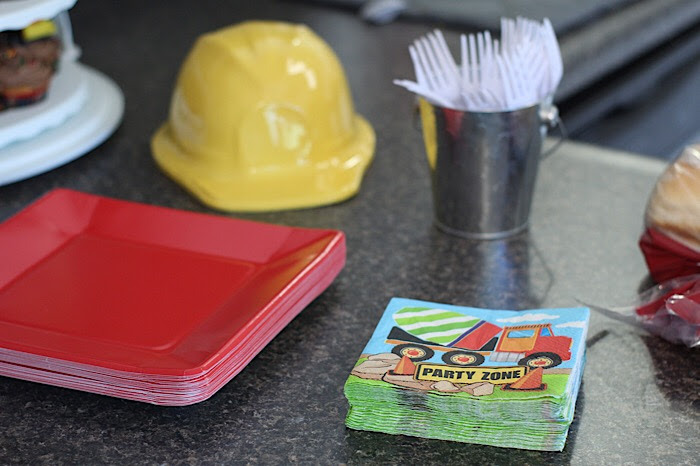 Like with all of our parties lately, I try to keep it simple, but add a couple touches that really make it cute. 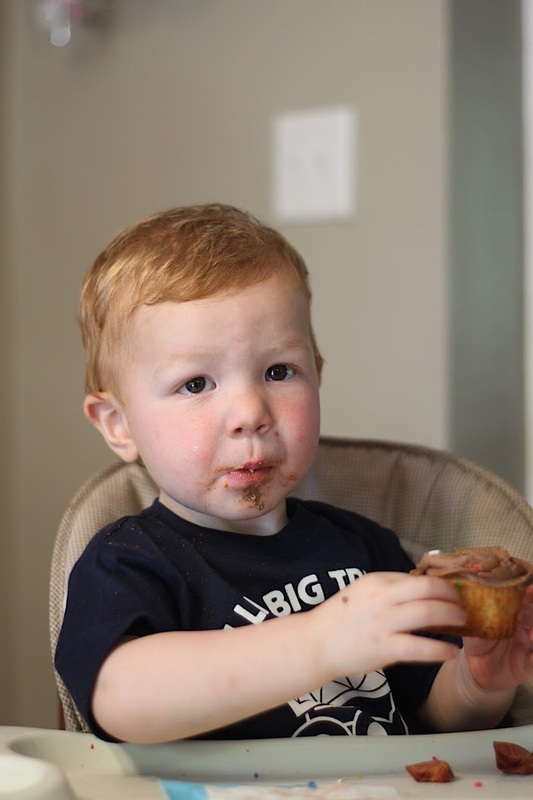 For this party, the highlights were the cupcakes. 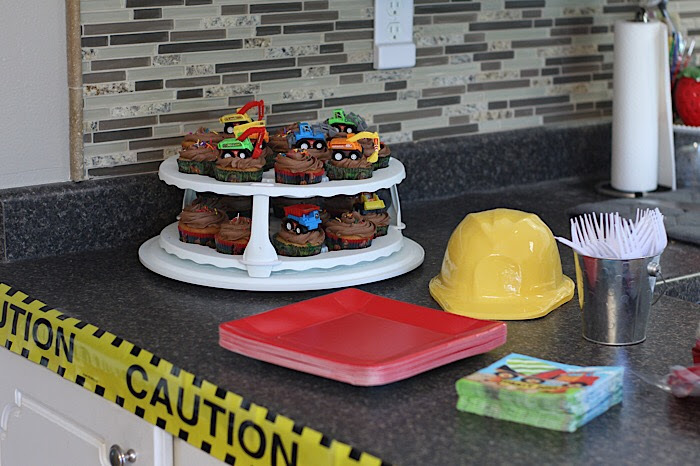 Also found some cute truck napkins, caution tape, and plastic construction hats. Thank you, Amazon Prime. For the cupcakes, I did my traditional thing and took a boxed cake mix and jazzed it up a little by adding an extra egg, some milk, and butter. 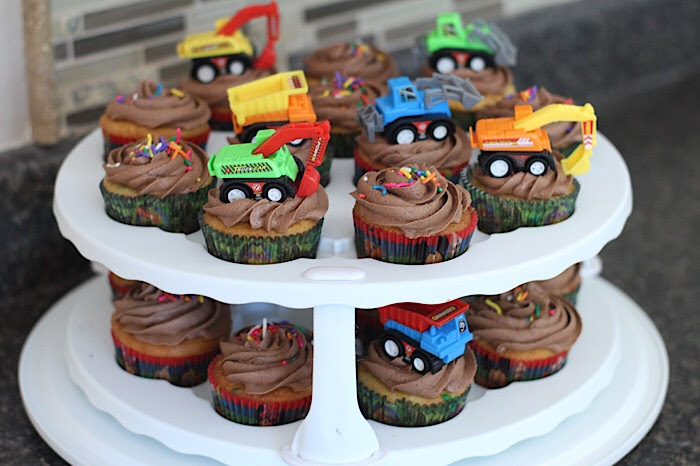 For the frosting, I had my first try with making chocolate butter cream since trucks should drive on "dirt." I took a recipe from Pinterest and tweaked it a little bit. Basically it ended up being 5 cups powdered sugar, 1/2 cup cocoa powder, 1 cup shortening, a dash of vanilla, and some water and milk to until it was the frosting was the consistency I liked. It made wayyyyy too much though, so if you plan to frost just 24 cupcakes I would cut the recipe in half. I found the cute trucks on Amazon, too. The kids loved them! 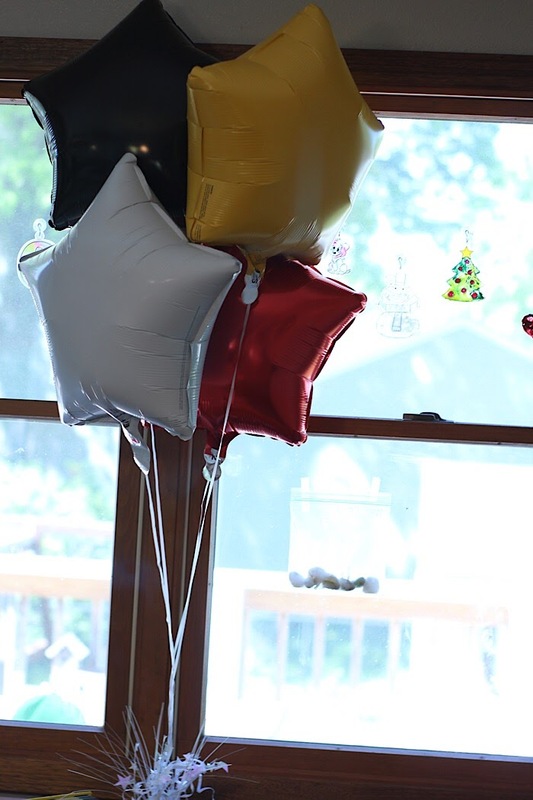 As for other decor, we picked up a couple balloons from the Dollar Tree. If you ever need balloons, go to Dollar Tree! 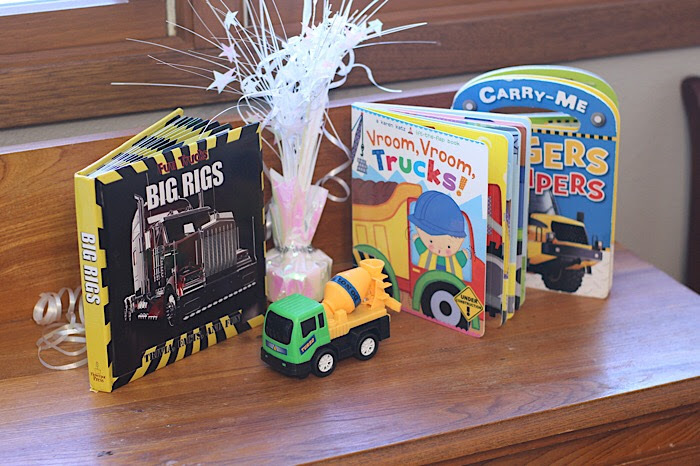 Then, I decorated with a couple books and a truck that we already had. 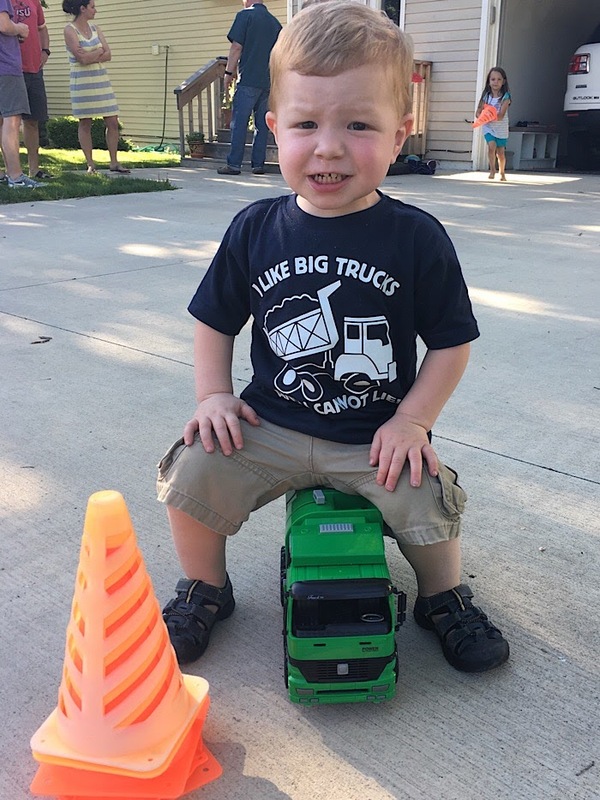 It's hard to see all of Calvin's shirt, but it says, "I like big trucks and I cannot lie." I found it on Zulily one day and knew it was perfect! 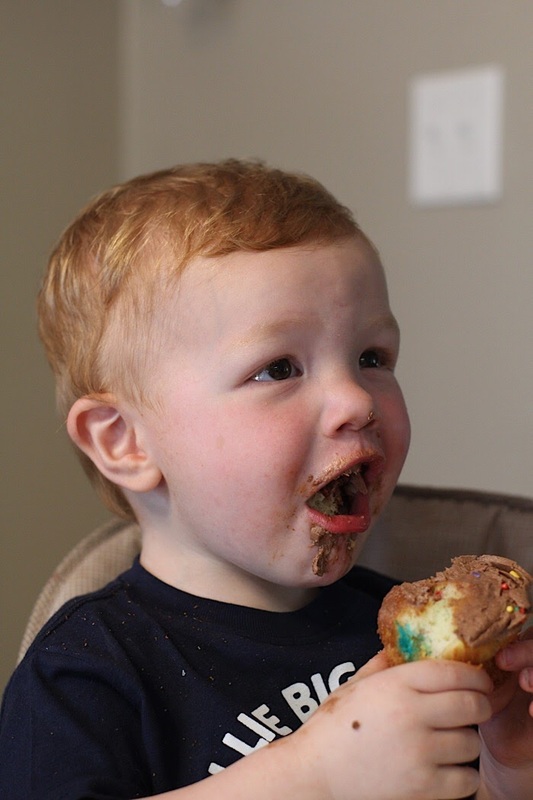 It was a perfectly simple party, and Calvin definitely loves the cupcakes! He also loved the new trucks he got! It was the perfect day for our little man! 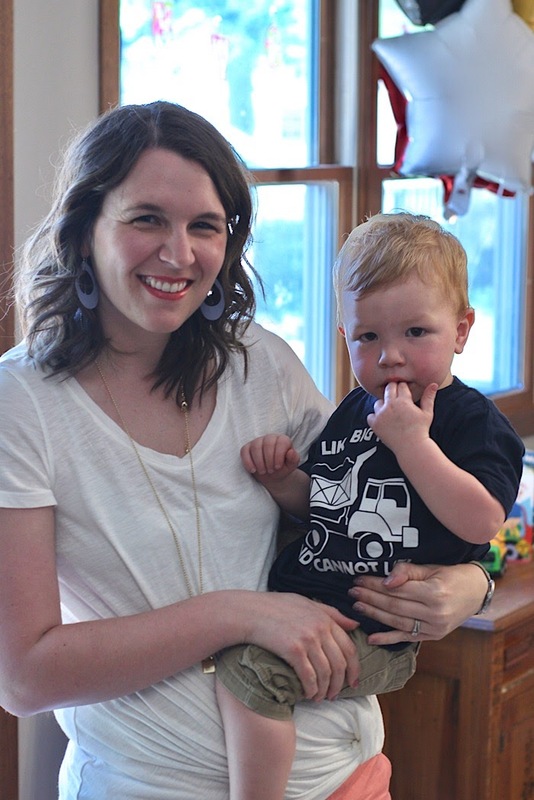 Linking up with Tuesday Talk.